1 A female-announcer robot called Otonaroid speaks during a press event at the National Museum of Emerging Science and Innovation Miraikan in Tokyo, Japan. The latest creations from Japanese android expert Hiroshi Ishiguro are the Otonaroid, a female robot called Kodomoroid, and Telenoid, a hairless mannequin head with pointed arms that serves as a cuddly companion. 2 Uruguay's Diego Godin, second right, heads the ball to score his side's first goal during the group D World Cup soccer match between Italy and Uruguay at the Arena das Dunas in Natal, Brazil. 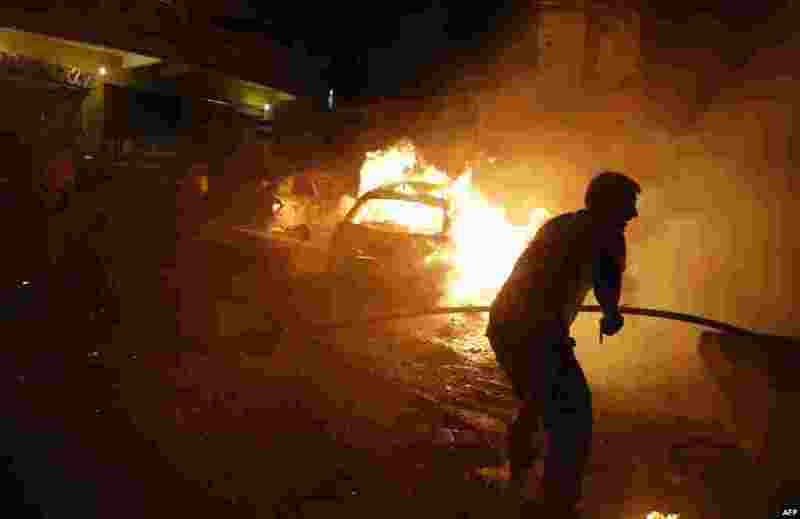 3 Lebanese civil defense firefighters put out a fire at the site of a car bomb attack in the mainly Shi'ite populated Shayyah neighborhood of a Beirut southern suburb. 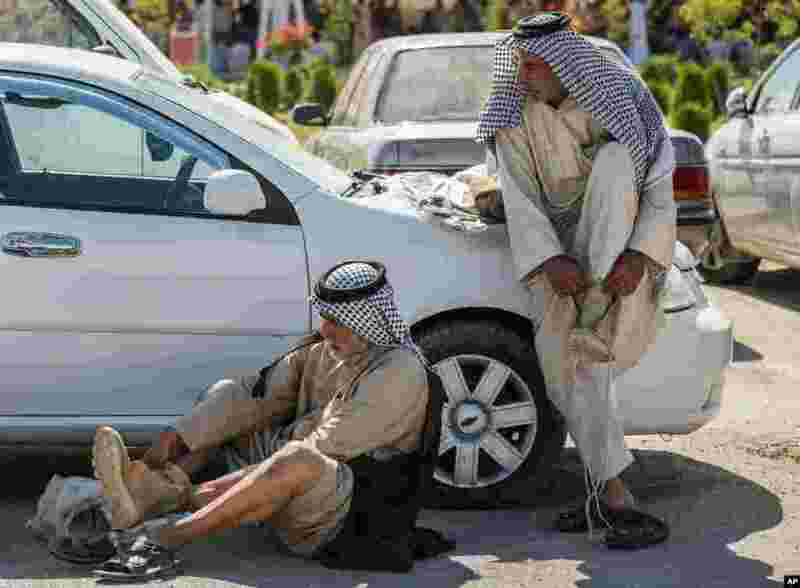 4 Members of an Iraqi volunteer force put on their new boots in the Shi'ite holy city of Karbala, 50 miles (80 kilometers) south of Baghdad.